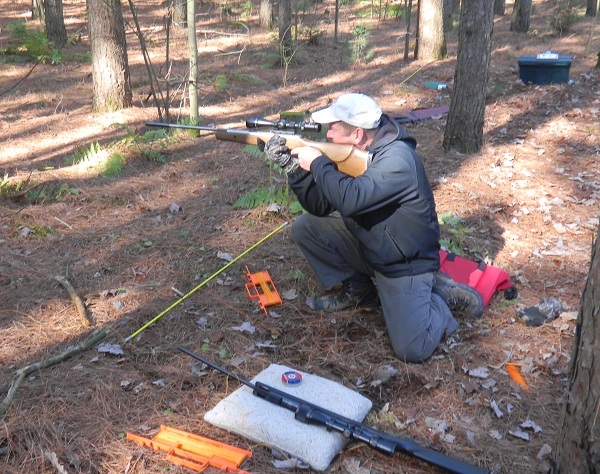 This webpage has been posted as a means for Eastern Ontario area airgun shooters who are interested in the sport of Field Target (FT) shooting to get together and particpate in this challenging sport. 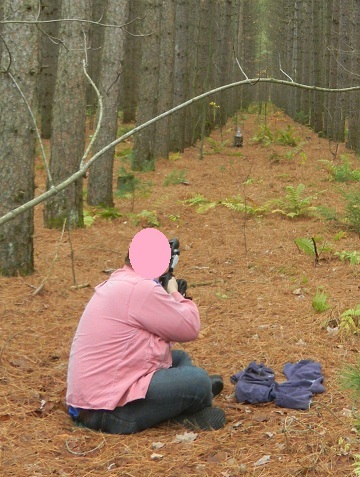 We have set up informal shoots at places where it is legal and safe to discharge airguns. Someone has also offered up their field (with over 1km to the back fence!) just east of Embrun. Click here for photos of our June shoot. If you don't have a suitable air rifle, don't worry, you can borrow a rifle for our shoots and give it a try. The best way to see if this game is for you is to actually try it. Amongst the group we now have about 40 proper field targets (limited to 20ft/lb guns). I will bring a Ruger Blackhack air rifle or a Weihrauch HW97KT to share (The Ruger regularly goes on sale at TSC stores for about $100 and mine will consistently hit 25mm targets at 30m!). I have drafted a FT info sheet for distribution to Ottawa area gun clubs and shops. This is a first draft so I'm open to suggestions (and devoid of any graphic design skills). You may want to check out this YouTube video on FT positions before coming out to the shoot. Everyone around here is a relative novice, so there's lots of learn and no experienced coaches - gotta love the internet! To be added to the mailing list of those who are interested in FT shooting in the Ottawa area, send me an email. What is Field Target Shooting? World FT Rules we try to follow the international rules for targets sizes, difficulty, etc.